Research Project: How do silvicultural practices influence bat populations in commercial coniferous plantations. 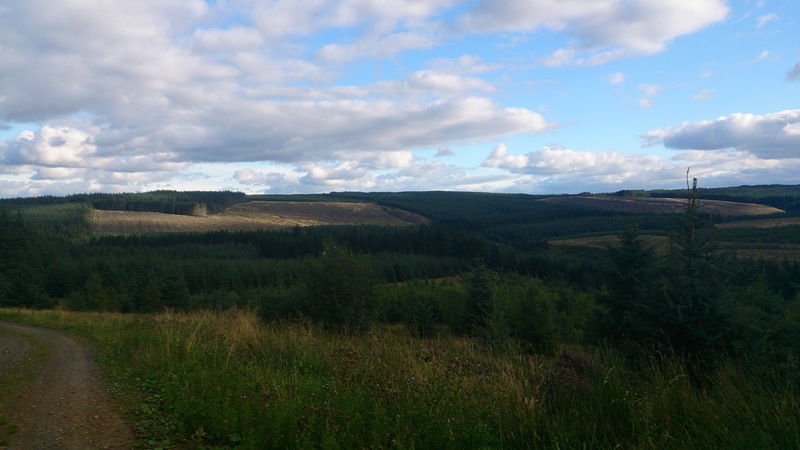 Around 80% of the forest cover in Scotland, and 70% of forest cover in England consists of exotic monoculture commercial coniferous plantations. Plantation forests have long been seen as ecological deserts with little value for biodiversity, yet recent studies have shown that coniferous plantations can act as an important habitat for diverse rare invertebrate and fungal species. Although most bat surveys carried out in the UK have found active selection against coniferous plantations, anecdotal evidence and the results of bat box trials have shown that some species of bats are making use of coniferous plantations. 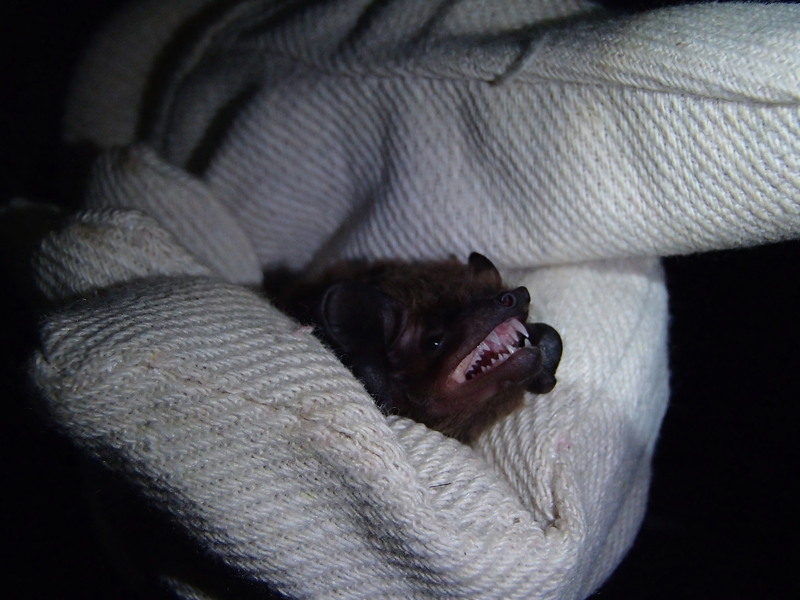 Therefore it is clear that plantation forestry could be a useful habitat for bats, but it is unclear how and which species are using the habitat. 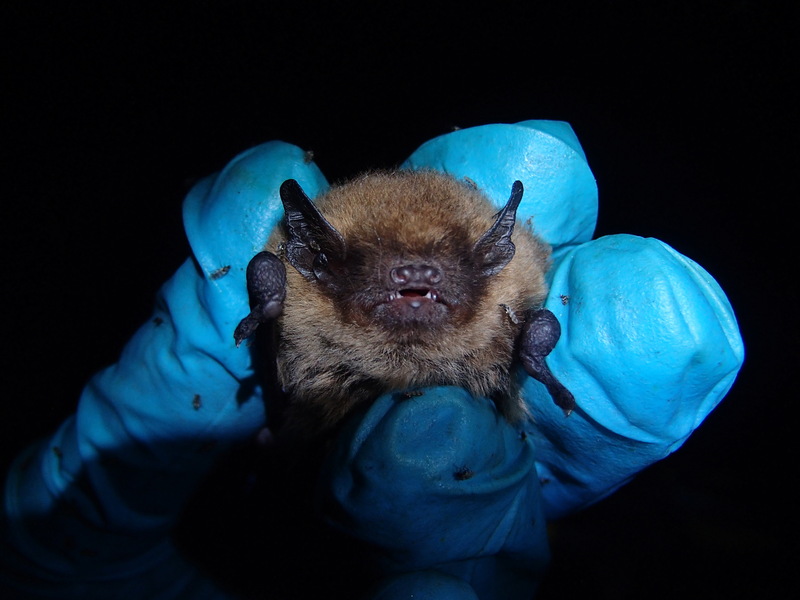 Bats have been designated an indicator species by the UK government due to their sensitivity to land use changes and their role as top predator of many nocturnal insects. All UK bat species are protected meaning it is a criminal offence to deliberately or recklessly injure or disturb an individual, or to deliberately or accidentally damage or destroy a breeding site or resting place. This thesis aims to address these gaps in our knowledge by establishing which species are using the plantations, how and when species are using coniferous plantations and how felling influences bat use of the forest. 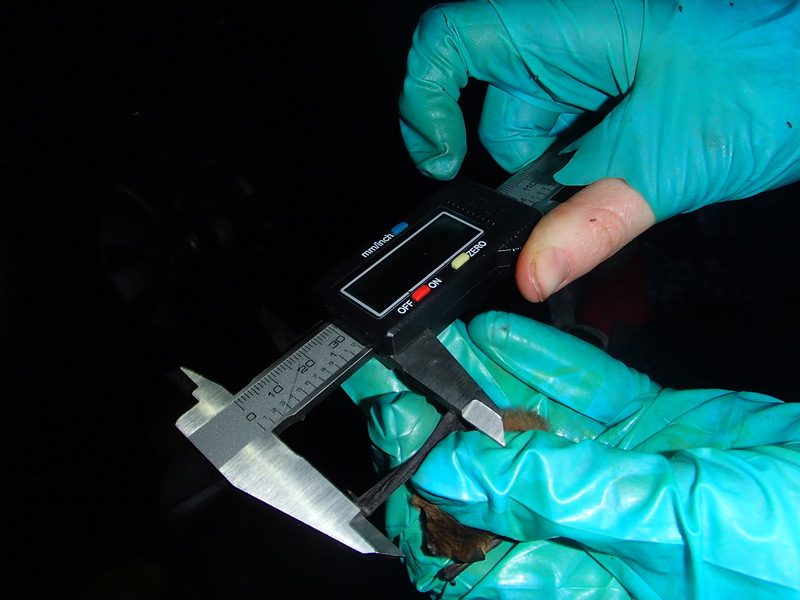 This will inform the timing and scale of felling practices helping to ensure compliance with EU legislation, and for the benefit of bat conservation. 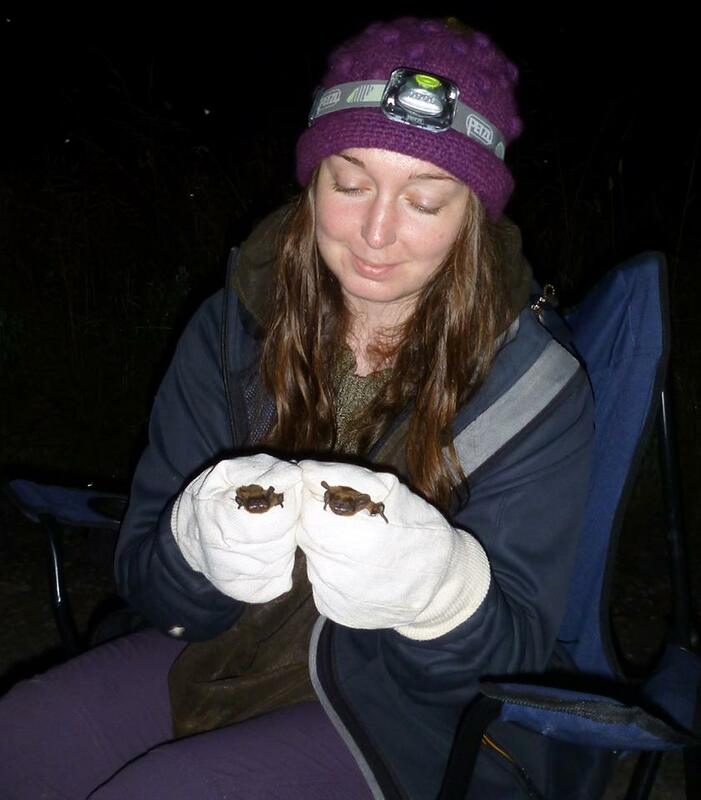 My first year of fieldwork was spent carrying out acoustic monitoring, transects, invertebrate monitoring and capture of individual bats in different stand types across Kielder, Galloway and Cowal and Trossachs Forests. 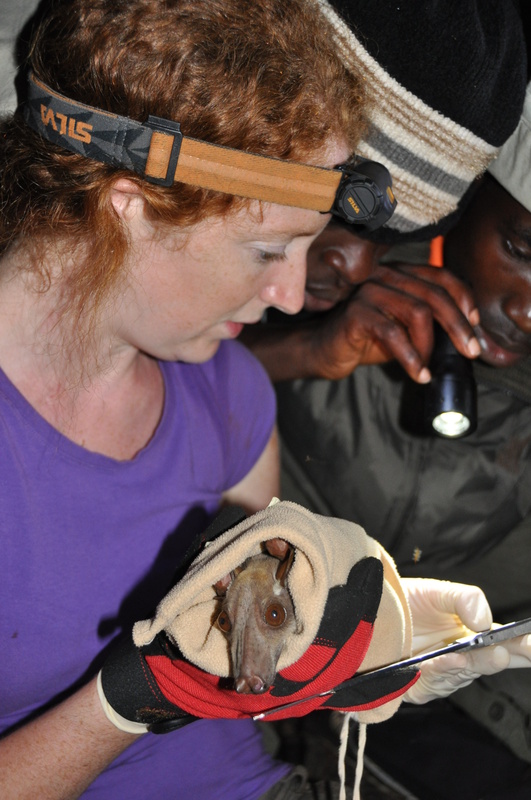 This has produced a large dataset which should reveal more about bat associations with different areas of the plantation dependent on age and management technique. The following two years will involve radio tracking individual bats in order to identify roosts, and how plantations are being used. I will also return to some stands which should have been harvested over the winter in order to directly assess the immediate and short term impact of harvesting on bat and invertebrate activity. In addition nearby broadleaved woodlands are being assessed alongside plantation areas to allow a comparison of plantation woodland with broadleaved woodlands. Pipistrellus pygmaeus (Soprano Pipistrelle) in the hand. Soprano pips are actively breeding in the plantations.